It’s time for another wee sweater, this time it’s the sweater that inspired the whole idea for this KAL, the Wee Lopi Sweater. Last April at the Minnesota Knitters’ Guild’s Yarnover conference, I took a class from Lars Rains on Icelandic Sweater Yoke Design. I decided to try the techniques I learned, but on a much smaller, thus quicker to knit scale. The result was this sweater. I fell in love with how it looked and wanted to knit more wee sweaters and other winter woolens. Knitting this sweater isn’t much different from the Wee Striped Yoke version your’ve already made. For the yoke this time, you’ll be knitting a simple colorwork repeat with decreases fit in so they don’t disturb the pattern. 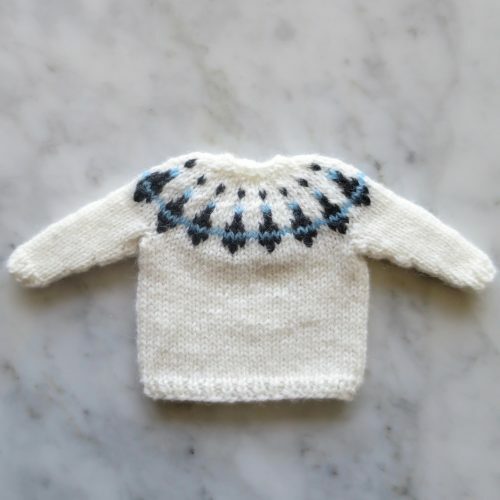 Download the Wee Lopi Sweater Pattern or if you have purchased it through Ravelry, look for an update. 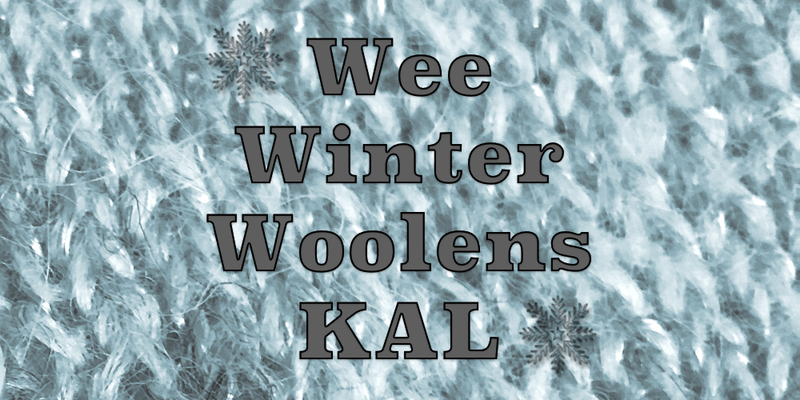 2 years ago by Kat in Christmas , Holiday , Knitting , Knitting Projects , Knitting Socials , Needlecraft , Projects , Wee Winter Woolens KAL | You can follow any responses to this entry through the RSS feed. You can leave a response, or trackback from your own site. Love this little sweater! Thank you…. Yes, I did! I sent a link to Susi as soon as I saw it too!. We think the idea must have come from us.